Timing might very well be everything. Before our flights west, I looked forward to experiencing Dust Bowl Oklahoma. 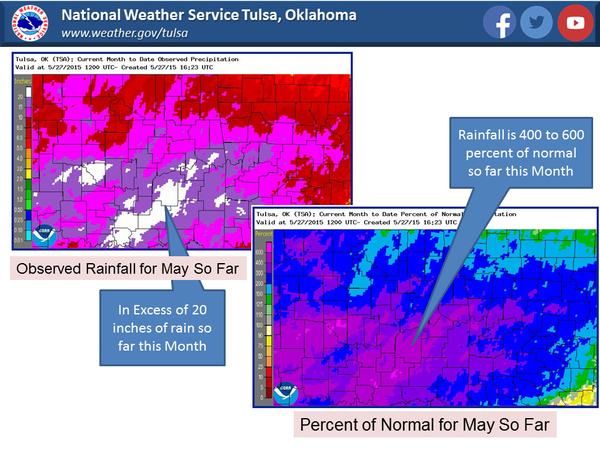 The irony was that, after decades of wet, I was traveling from a drying Northeast to Pluvial Oklahoma. Well, it wasn’t a true pluvial, but it seemed like the “Monsoon” had arrived. I ate breakfast at the hotel bar so I could watch the Weather Channel’s coverage of last night’s storms. They were showing an SUV being swept away downstream with an untold number of people in the vehicle ($Ching, $Ching in terms of TV ratings). They assured us the untold number of people were fine. I turned to the BreakfastKeep and we talked, uh, weather. I told him I was there to study climate change and forests and, in a blithe manner, he informed me that extreme weather was no big deal in Oklahoma. I kept quizzing him on Oklahoma. We recently had a great visit to the state, meeting interesting and kind people and seeing some of the new culture popping up in Tulsa that is still distinctly Oklahoman, for example. He mentioned how it was such a diverse state that no one culture really dominated. I said how nice people were and how they happily waved me into their living rooms. He retorted, “It likely had to do with your melanin content.” Fair enough. It was blunt, but clear and true. I dug his straightforwardness and it drew me more into Oklahoma. Straightforward, though surprising in their speed, were the storms hitting Oklahoma and Texas. The NWS feeds on Twitter were commenting how movement of these storms made it hard to predict potential rainfall. Two days before I flew in, the forecast called for 4+ inches of rain over the next few days. It poured the night before I landed and it poured again after I landed. But, somehow, I managed to avoid rain during three days of fieldwork. It was Arkansas Tengri by the time I walked out of the forest on the last day. On the drive from Oklahoma City to Tulsa, I traveled for a while on the famed Route 66 and it struck me as highly odd. The landscape was a dark green. The land and ditches were totally saturated and the sky hung with heavy clouds. What were the chances that on my second trip to OK, during this moment in time, I would arrive after a month of potentially historic rain? Growing up in Central New York, I was used to cruising cloudy, lush landscapes. Now, in an important part of the Dust Bowl, you would have been hard pressed on this weekend to ID central and western NY State and east central Oklahoma if they were in a lineup (if you ignored the higher density of Love’s gas stations, Route 66 signs, some of the architecture, and the fact that the forest was only about 30-40 feet tall in the Crosstimbers portion of OK rather than the 70+ feet in young CNY forests). It was a delicious moment of Life. 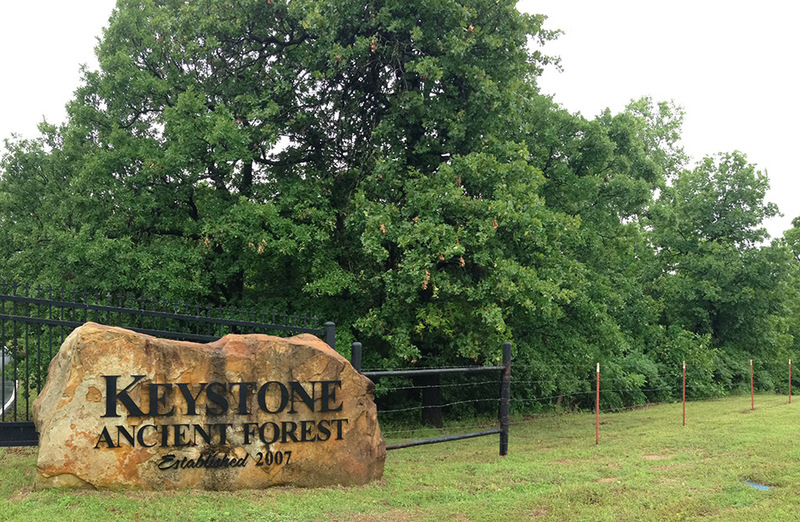 My host, Jacob Dyer, a PhD student at OK State University, brought me out to the Keystone Ancient Forest preserve west of Tulsa. It is a premier piece of the Oklahoma Crosstimbers. [Consciously aware that I am belaboring a point], I had previously expected stepping into a crunchy Crosstimbers landscape. This is where David Stahle and and his students recognized a parched landscape filled with ancient trees. Not only that, these ancient trees are among some of the thirstiest in the eastern US. Jacob said he knew of a portion of the preserve with post oak that would be relatively productive in terms of forest growth. As we hiked, we passed signs of the last month. Parts of the trail was washed out. 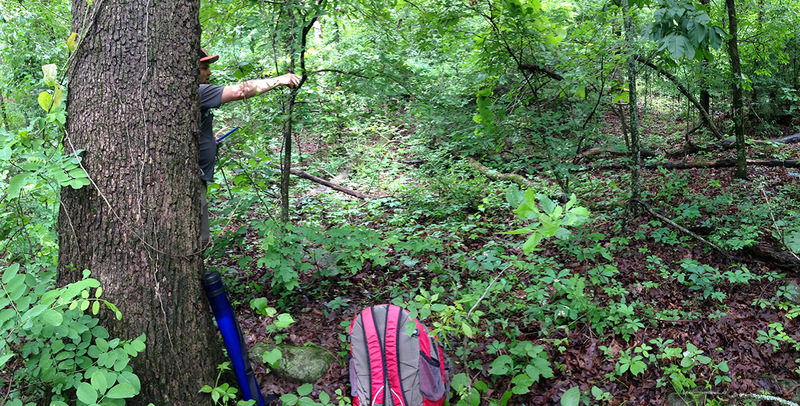 The clayey soils did not crunch and brought me back to the first time I walked a tropical forest trail. We were slopping our way through an oakey forest. 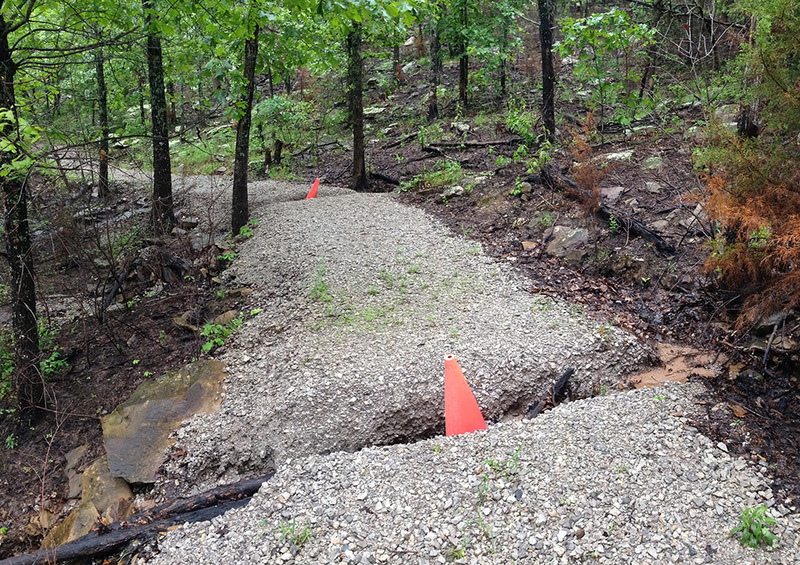 Trail washout. The surrounding forest experienced a prescribe fire in the weeks prior to our visit. This is why the soils look black. 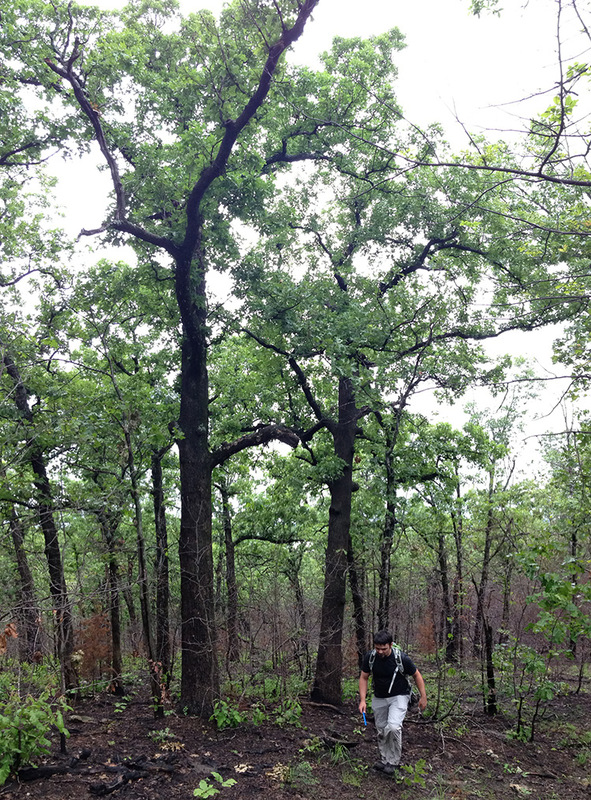 Jake and a tall post oak. The groundcover looks sparse because of a recent prescribed fire. The soil was saturated and squished under our feet. 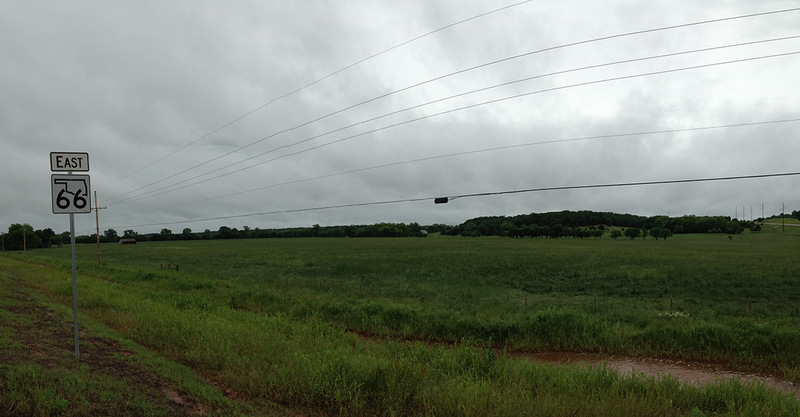 My view of Oklahoma is wonderfully skewed by this heavy tailed event. When I close my eyes and think about Oklahoma after my first to two trips to the region, all I see are deep, diverse green forests. 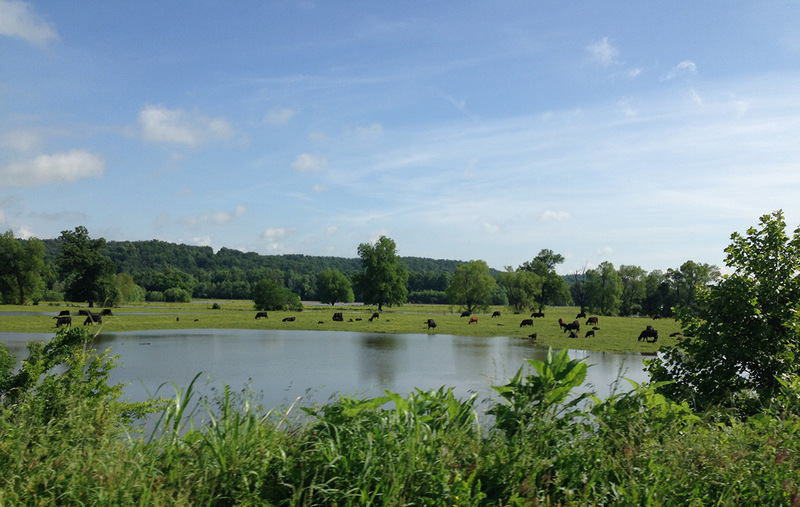 Flooded pasture, but the cows seemed to be in good spirits.